With over 9,000 sleeping aids and apps on the market, there's no shortage of gadgets and gizmos on the market to help you catch up on those restful hours. However, not many have managed to link all your smart devices together to create a nap-happy environment - that's where the Singaporean manufacturer Juvo comes in with its new slumber-related gadget. Much like Samsung's recently revealed SleepSense device, the new unit from Juvo aims to improve your sleeping habits, tweaking everythiing from your bedroom's temperature to creating sleep-inducing soundscapes to lull you into a peaceful kip. More importantly it does it all without needing to be in contact with you, so no need for straps, patches or wearables. Instead it uses an unobtrusive sensor mat that slips under your mattress (just make sure it's not a waterbed!). The sensor mat (which tracks your potentially restless movements in bed) also works in tandem with a special bedsite unit that uses a built-in sound conditioner that uses light white noise to regulate background sounds that might normally break you sleeping pattern. There's also an alarm designed to wake you gradually, enabling you to feel refreshed when you finally stop counting those sheep. You can track all the data it collects via the Android and iOS friendly SleepCoach app and you can even connect it up to other IoT and Smart Home devices to regulate lights, temperature and more. 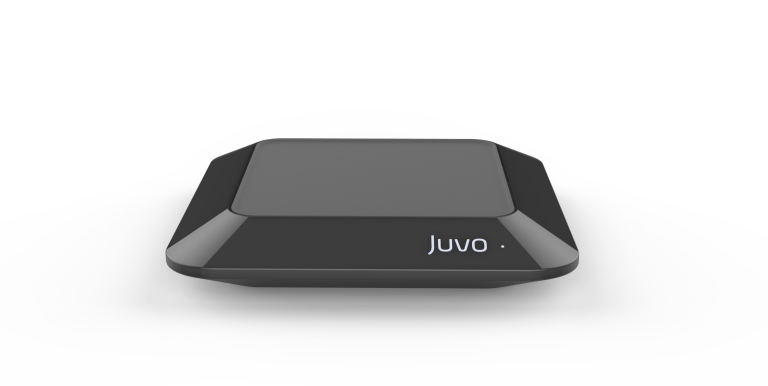 Juvo's crowdfunding campaign for its sleep monitor is now live on Indiegogo - you can check it out here.